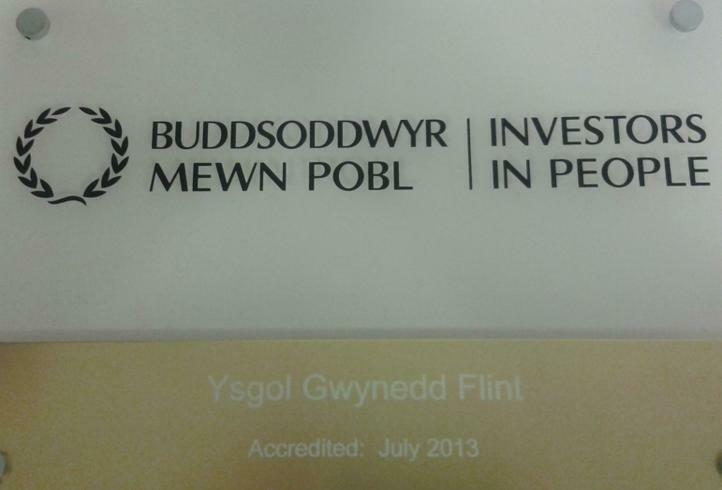 Ysgol Gwynedd is proud to announce that it has achieved the prestigious Gold status at their recent Investors in People assessment, acknowledging achievement of world-class best practice and representing a cutting-edge organisation operating at the very highest levels of people management practice. 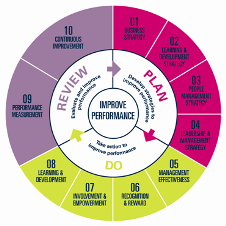 In order to gain the Gold Accreditation organisations are assessed against 165 evidence requirements in 10 distinct performance areas in the Investors in People Gold Framework (as seen below). Ysgol Gwynedd were assessed against 195! "Ysgol Gwynedd, Flint that has successfully created a school environment where people feel valued, respected and cared for and where they are actively encouraged to take part in identifying continuous improvement actions relating to all areas of school operation. The school embodies the spirit of Investors in People and is deservedly found to be meeting Gold accreditation status." Ysgol Gwynedd is now part of the exclusive 3% of Investors in People in the country that have achieved Gold recognition, meaning they are now eligible to use and display the sought after Investors in People Gold logo and enjoy its benefits. The school’s approach to reorganisation of its management team structure is evidence of good practice in its involvement of management responsibility post holders and its strategic alignment with the key SOS (Solution Oriented School) areas related to school improvement and continuous development. The Head Teacher is widely regarded as ‘inspirational’ for his passion, his sense of purpose, his active encouragement for others to share in the school’s vision of continuous improvement and his support for other staff to achieve their potential through on-going personal and professional development. The Head Teacher actively encourages and role models a coaching style of management for other members of management team and the wider staff body. All members of the Senior Management Team and Education Management Team are seen as very approachable by other staff within the school. People are aware that the Head Teacher wants them to act as leaders in their own areas of responsibility through his frequent references to this cultural approach and the opportunities he facilitates for staff to do so.